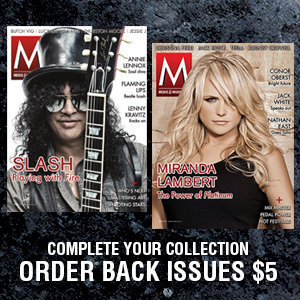 November 16, 2009 – NEW YORK – M MUSIC & MUSICIANS—a new print magazine offering insightful, in-depth coverage from rock, pop and hip-hop to R&B, country, folk and jazz—is set to launch in January. M matches first-class features, interviews and reviews with a new distribution model that will guarantee a built-in readership of 160,000 starting with the first issue. In addition to traditional newsstand sales, M will be shipped with customer purchases made through major online musical gear retailer Sweetwater® — literally reaching dedicated music lovers where they live. Published 8 times per year, the magazine will showcase the work of the music world’s most knowledgeable and forward-thinking journalists, photographers, designers and gear experts. 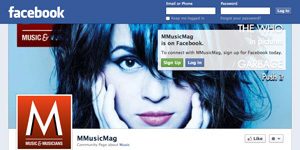 The magazine’s online presence at Mmusicmag.com will complete the M experience as a fully integrated destination—featuring exclusive interviews, interactive elements and a vibrant online community. 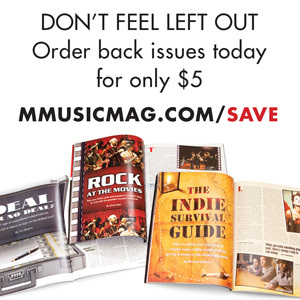 The M team is led by Merlin David (formerly of Performing Songwriter); editor Rick Taylor (Performing Songwriter, American Media, Inc.); creative director Terrill Thomas (T13 Media, AtomFilms); senior editor Chris Neal (Performing Songwriter, American Media, Inc.); technology editor Dave Jones (Performing Songwriter); and renowned photographer Kent Kallberg. Songs inspire us. Music moves us. M connects us.